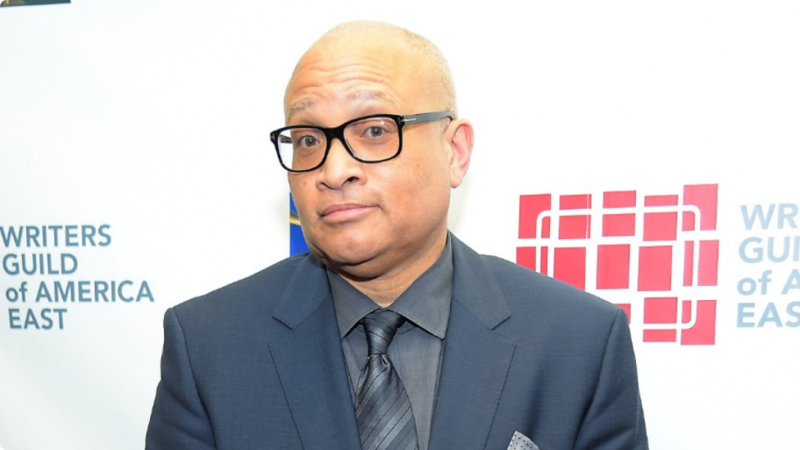 On April 30th Larry Wilmore will host the 101st White House Correspondents’ Dinner. The White House Correspondents’ Association has selected Comedy Central’s “Nightly Show” host to headline the star-studded event featuring President Obama. Star-Gazing at the 2015 White House Correspondent’s Dinner! The 2015 Annual Garden Brunch on the morning of the White House Correspondents’ Dinner once again brought a parade of Hollywood elite and celebrities to gather and mingle before primping for the dinner, but all for a good cause. This year’s beneficiaries, Dog Tag Bakery and Blue Star Families are both groups created for the benefit of veterans and their family members. Video courtesy of Hollywood on the Potomac. Do you remember your first time at the White House Correspondents’ Dinner? That’s what Hollywood on the Potomac posed to veterans of the glitzy weekend. During his coverage of the 2015 White House Correspondents Garden Brunch, Tommy McFly featured the two organizations that were honored at the event, Dog Tag Bakery and Blue Star Families. He also spoke with Tara Lipinski who shared her thoughts on Washington style! The conversations continued into the very early morning at the Bloomberg Vanity Fair party at the French Ambassador’s residence. Attendees included Elon Musk; Obama administration cabinet officials Ash Carter, Shaun Donovan and John Brennan; stars of Washington inspired TV shows, Carla Gugino and Aasif Mandvi from the upcoming HBO comedy series, The Brink, and Constance Zimmer and Michael Kelly from House of Cards; and television stars Connie Britton and Gina Rodriguez. Washington guests were Minority Leader Nancy Pelosi and husband Paul, Democratic Whip Steny Hoyer, Congresswoman Debbie Dingell, RNC Chairman Reince Preibus and wife, Sally, White House Press Secretary Josh Earnest and speechwriter David Litt, and former Obama speechwriters Jon Favreau and Jon Lovett. Media guests included Andrea Mitchell, Ronan Farrow, Maureen Dowd, Fred Ryan, and Bret Baier. Also in attendance were Samantha Power, Susan Rice, Valerie Jarrett, Heather Podesta, Tammy Haddad, Marc Adelman and Liz Robbins. View photos of all the action at the Bloomberg Vanity Fair Party after the 2015 White House Correspondents Dinner. 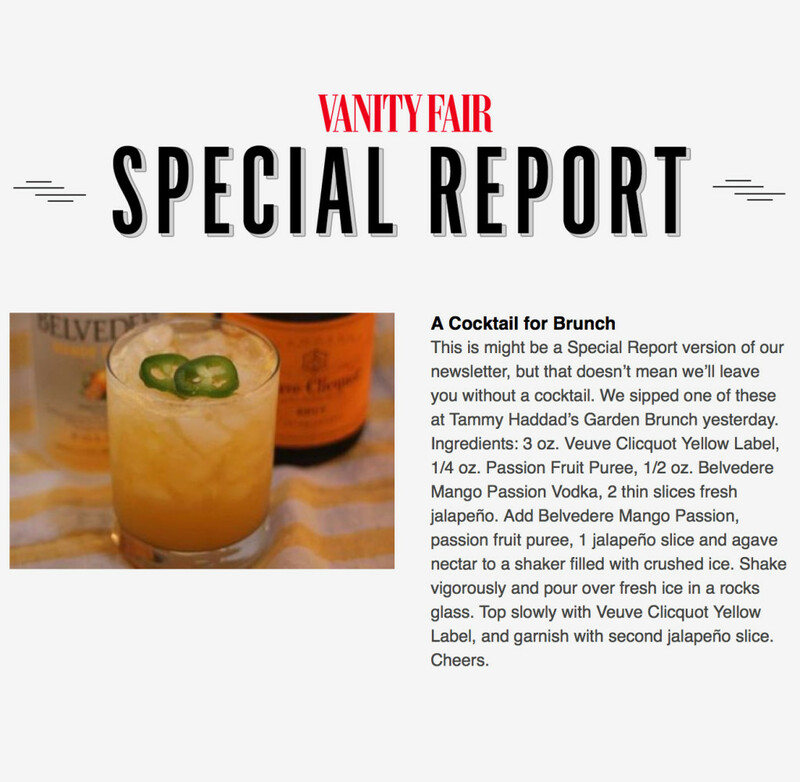 The official Garden Brunch cocktail made with Belvedere Vodka and Veuve Clicquot was featured in Vanity Fair’s special report for White House Correspondents Weekend.